From Scott Amron, the man who brought you the Endo Magnet Clip come a series of products from Die Electric. These are all listed as prototypes, but they are available for sale. ToothHold, shown above, will hold your toothbrush or other bathroom items. 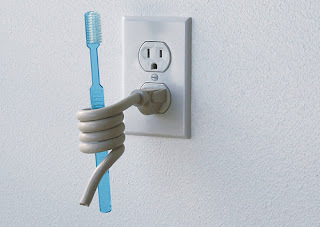 Most of us have an outlet right by the sink, so this would keep your toothbrush close at hand. 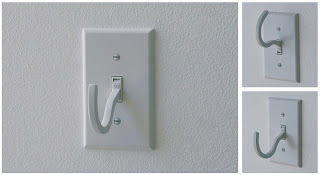 OFF is a fully functional light switch that provides a hanging function when the switch is in the OFF position. It was designed to persuade people to use less energy. Don't know where to put your fire extinguisher? 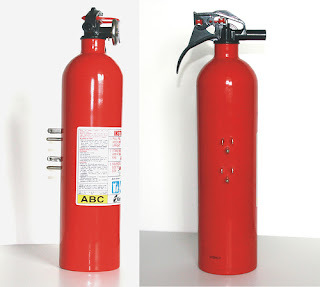 FIREWALL is a fire extinguisher that plugs into the wall. And then there is SHELF - which is . . . a shelf. Further plug-into-the-wall options include a vase and a flower pot. Wow! 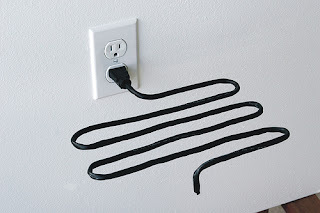 Those are interesting uses for outlets! Great ideas. 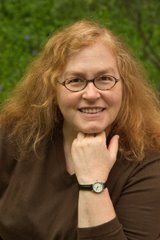 I always appreciate strategies that involve saving storage space and other useful things. Thanks for sharing. Karli and Alan: I'm glad to know someone else was as taken with these as I was!